“Good fences make good neighbors” is a line written by the American poet Robert Frost in 1914, and is credited by Oxford dictionary as a 17th century proverb. Regardless of its cultured origins, I think we all get the idea; we enjoy some people more when they are on their side of the fence. Many of us have had a neighbor that would fit that description. But what I want to talk about isn’t irritating neighbors, but what makes a good fence; or a bad one. In his amazing book, Transforming Grace, author Jerry Bridges describes how we often build spiritual fences to protect ourselves from even approaching certain sins that we might struggle with. For instances, the Bible calls drunkenness a sin. For those that have an inclination toward drunkenness, they may wisely build a fence a little further out. That fence is a choice to abstain from drinking alcohol all together. That way, there is no opportunity for drunkenness. For them, that may be a wise choice. The same may go for the ungodliness that sometimes appears in movies and television. Some find it easier to unplug the TV or steer clear of the movie theater, rather than trying to discern the evil from the edifying. I think the benefits of erecting these types of personal fences are obvious. For some it may even be a matter of survival. However, these good fences can turn bad when we decide to move them off of our property and onto someone else’s. When our personal boundaries, erected to help us in areas of person weakness, are no longer personal; that’s a bad fence. It’s then that we find ourselves thinking, and maybe even saying to others, “I know that the Bible says it’s a sin to be drunk, but if you were really wise, and really committed to Jesus, you would be like me; and abstain from alcohol all together.” Eventually that personal fence becomes the standard for all; “real Christians don’t drink.” Remember, Jesus did not commend the Pharisees for making more rules, He rebuked them for it. We do it with more than just alcohol. We can begin pushing out our personal fences around any number of things. 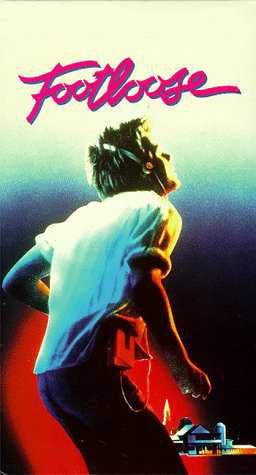 The movie Footloose painted a caricature of a town that had outlawed secular music and dancing. It was someone’s fence that eventually encircled an entire town, and the movie was about the rebellion that ensued as a result. Instead of being helpful, the fence became harmful. Bad fences always do. Now, lest you write me off as “a drunkard and a glutton,” that is trying to excuse his behavior; let me say that I don’t even drink myself (Matt 11:19). My goal here is not to protect my pet vice. Well, that’s not completely true. Living by the grace of God is my pet vice, and I’m certainly trying to protect that. Now, I get the logic and the practicality of the “just don’t do it” approach. Rules are certainly easier to manage than grace and liberty. If I just go around building fences a mile away from any potential sin with a sign that says “keep out,” then my work as a disciple-maker is basically finished; sort of. Those fences may help conform behavior, but they cannot change the heart. Walking people through how to glorify God in all they do because of what Christ did for them; takes more time than simply building a fence, but it will eventually bear more fruit too. So why not keep it simple and just build fences? Why not manage by the rules? Well I guess that depends on what we’re really after. Are we seeking a generation of compliant fundamentalist who follow all the rules because that’s what good Christians do, or do we want a people passionate about Jesus and trained by His grace (Titus 2:11-14)? That’s an important question, because not only is pushing our fences on others ineffective at changing hearts, it’s flat out dangerous. Our fences or our rules, laid out as “what good Christian’s do,” sets people up for failure. It forces believers to choose between Jesus and a fence that we have built; something He never required of them. Actually, it robs them of the freedom that Jesus died in their place to secure. Our fences, forced on others, is a lose-lose proposition. First we lose when we choose not to cross over the fence; not to drink alcohol, only to wear one-piece bathing suits or never to listen to secular music. We lose not because those practices are bad or unhelpful. We lose because too often our “good behavior” becomes a source of self-righteousness; even spiritual elitism. Our attitude becomes “Someday, when those weak believers are more mature, they will obey God like I do.” Yuk! When the temptation to think like that comes along, we must remind ourselves that it’s the ones that couldn’t eat meat or drink wine that Paul described as weak in conscious, not those who did. “So, whether you eat or drink, or whatever you do, do all to the glory of God” (1Co 10:31). But you can’t win by jumping the fence either. This time you lose not with self-righteous pride, but with condemnation. Whether you actually have that drink with dinner or listen to that secular rock music, sometimes just wanting to can make us feel condemned because we have been conditioned to believe that , “if you real love Jesus you won’t _____.” This is a problem that is as old as the church. It was alive and well in the 1st century. The Jerusalem Council dealt with it in Acts 15, and under the inspiration of the Holy Spirit this is what Peter said as he corrected the fence-builders, “Now, therefore, why are you putting God to the test by placing a yoke on the neck of the disciples that neither our fathers nor we have been able to bear” (Act 15:10)? So if the 1st century leaders of the church were guilty of building bad fences, then we certainly need to guard against it. The reason I know it’s a problem is because I was a master fence-builder myself. I actually had a friend name a principal after me. The “Charlie” principal was about abstaining from things; mostly “R-rated movies,” because some of them might defile me. It wasn’t a bad personal rule, but I had made it a standard that I thought everyone should live by. Who knows how many people were brought under condemnation as I pointed them away from the cross of Christ and the grace it bought and toward their own righteous efforts as a means for becoming more like Jesus? I pushed my fence on them, and by doing so, made myself their standard. God help me. Personal fences have their place in our own walk with Jesus. They can be a helpful safeguard in areas of personal weakness. But once we start forcing them on others, our fences will not only become a source of pride or condemnation for them, they will block their view of the cross. 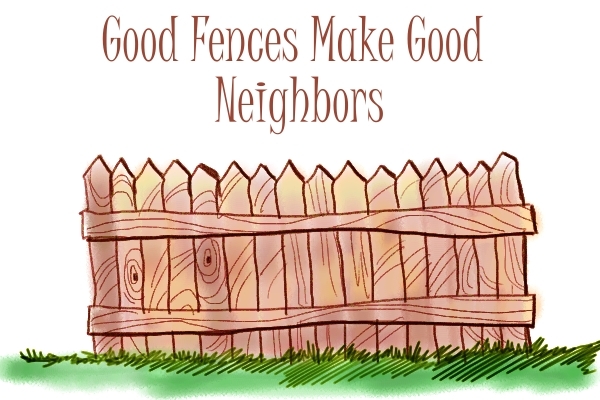 Be a good neighbor and keep your fence in your own yard.